One of the most common questions we get asked by Bucketlisters is “where can I find the best deals for the equipment on my kit list?” If it’s your first time going trekking, it’s likely that there will be quite a bit of kit you’ll need to get hold of for your big Bucket List adventure, whether it’s trekking to Everest Base Camp or climbing Mount Kilimanjaro. Hiking in the mountains – and hiking full stop – requires specialist equipment, which is vital in keeping you safe and comfortable so you can have an unforgettable experience. But everyone wants to save as much money as possible when buying gear. So how much should you spend, and where should you look? How much should you spend on trekking equipment? Well, in regards to the first question, it largely depends on what you want from your gear. If you’re just looking for something you can use for the one trip and then pass on, you can get away with spending a little less. However, if you then decide to do another trek (which most of our Bucketlisters do! ), you may find yourself having to repurchase items. This is almost invariably more expensive than it would be to spend the extra on high-quality equipment that will last (not to mention that buying long-lasting gear is better for the environment). If you’re looking for trekking equipment that will last you a lifetime, it’s more than worth investing more. Many top-of-the-range brands offer lifetime guarantees, meaning that if your items do get worn out, they will replace them for free. There are also certain items that you want to invest as much as possible into, as they will be keeping you warm – and therefore safe – on your trek, such as down jackets. As a general rule, if you buy the best quality kit you can, you will have a much more enjoyable time on your trip – and this is supposed to be an incredible adventure, right?! Of course, it’s really up to you how much you spend on buying your kit list. 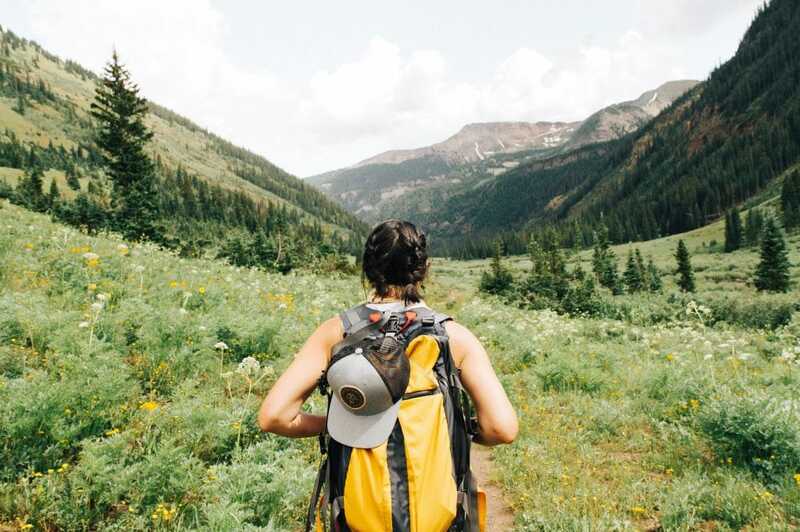 But, to help you get the best value for money possible, we thought we’d create this handy guide on how – and where – to find the best deals on trekking kit! Enjoy! Don’t worry, we’ll get onto the best discounted outdoor gear retailers soon, but first there are a few things you need to know. Follow these simple tips and you will be able to find the best prices on any piece of kit you need, from any outfitter. The first, and probably most obvious, tip for finding discounted outdoor gear is to buy out of season. All major retailers release a new line at least every winter and summer season, meaning that if you’re looking for snow gear, you should be looking for kit while the sun is beating down to find the best deals! In the off-season, remaining stock from previous lines will be discounted to clear. We all know the drill. Just make sure you plan ahead to give yourself enough time to get the deals while they’re around! Luckily, our payment plans allow you to book several years in advance, giving you plenty of time to scout out gear deals. Price matching might seem like something of an old-fashioned idea, but there are still companies who promise to match – or beat – any deal you can find elsewhere for a particular item they stock. GO Outdoors are a brilliant example of this, as they not only match any offer you can find online, but they beat it by 10%, AND still let you use your discount card. More or less every outdoor gear website these days offers a discount on your first purchase if you subscribe to their mailing list. Now, we know that you probably don’t want hundreds of sales emails in your inbox, but hear us out. The first time you visit the website, go ahead and click off the email subscription pop-up. Then search the site to see if the item you want is in stock, and at a good price. If you decide to buy it, close the window and clear your Internet browsing history and cookies. Then, open the website again and the pop-up will appear again – now you can enter your details. Add the item to your cart and proceed to the checkout with your email discount code. Once you’ve bought your items you can easily unsubscribe from the mailing list by scrolling to the bottom of an email and clicking ‘unsubscribe’. It’s also well worth getting hold of discount cards for the major retailers you are likely to buy your kit list through. Outdoor equipment superstores such as GO Outdoors, Cotswold Outdoors and more offer loyalty schemes, where you can either accrue points to spend, or get a nice discount on every purchase. Also bear in mind that becoming a member of certain groups such as The British Mountaineering Council can give you additional discounts in many shops. You’ve probably seen lots of adverts for Honey recently, but it is actually a brilliant tool. This is an Internet browser extension for Google Chrome. 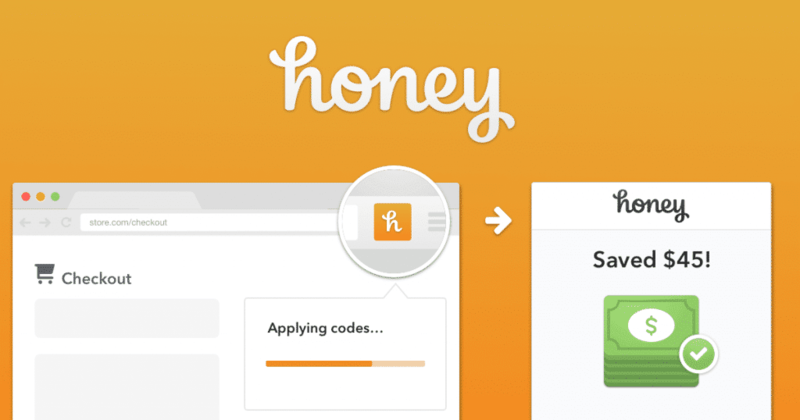 Any time you add an item to your basket on an online shop, Honey will automatically scan the web for discount codes, vouchers and deals for the item and website. It will then show you the one that gives you the best discount, so you can simply apply it in the checkout. This simple plugin will save you so much time, and ensure you never miss a discount code again! One option that the lucky among you may have is finding discounted trekking kit through a friend who has a trade account. Business owners of companies such as climbing walls, cycling shops or schools may have trade accounts with certain outdoor brands, giving them a lower price on items. If you’re feeling really cheeky, you could try to sweet-talk a friend with one such setup to see if they can get you a good deal. This might be particularly useful if you’re trekking in a group and all need one particular item – band together and you could secure a bulk discount. If you’re really serious about finding one specific item at the best possible price, it’s time to get tech savvy. When you’re scouring the web for hiking kit deals, you’re most likely to begin your search on Google. Well, the search engine has a handy feature that will send you alerts for specific search phrases. All you have to do is go to Google Alerts, and type in the phrase you want to receive notifications for. This could just be the product name, or you could also include your size. You will then receive an email every time a new search result for this term is added to Google, meaning that you’ll be the first to know if the product is stocked by any online shop. 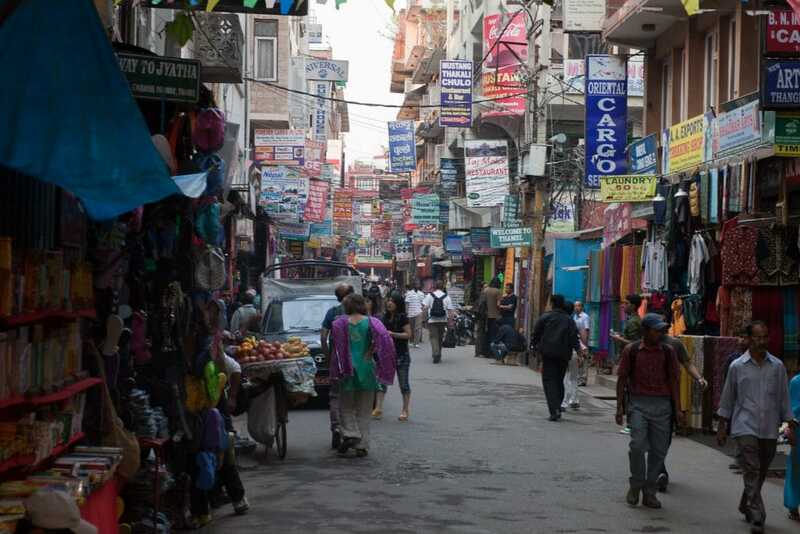 Here’s the bit you’ve all been waiting for – the ultimate list of where to find bargains on trekking and hiking gear. From the classic outdoor retailers to secret web stores and second-hand hacks, we guarantee this list will have you covered on whatever you covet! First, let’s start with the ‘big guns’. These are the outdoor equipment retailers you’re likely to have heard of – and you may already have checked them out. 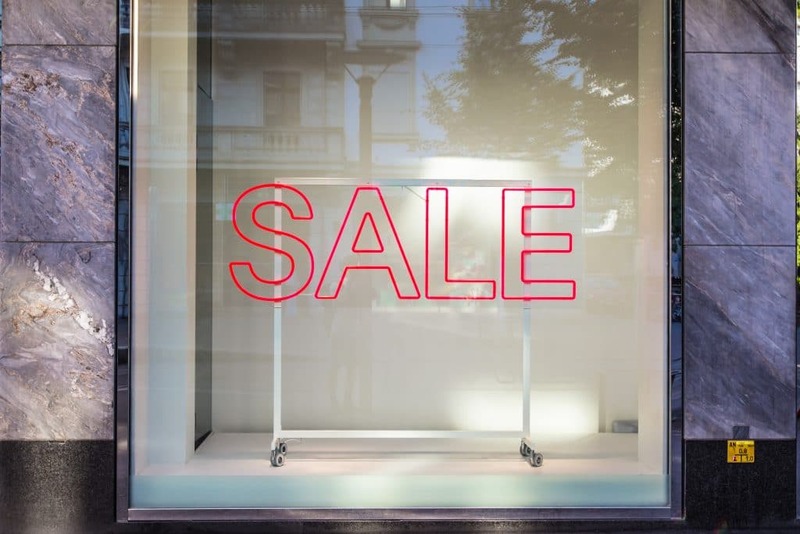 Although these aren’t always the cheapest of shops, they do usually run good seasonal sales and have outlets that are definitely worth a look. Blacks has been providing outdoor equipment to hikers since 1861, when Thomas Black founded a sail manufacturing business on the Clyde River. Shortly after, he used his expertise to begin making tents, and over the years, it has evolved into a major UK-based outfitters. The Blacks website carries a wide range of high-quality hiking brands, from Osprey backpacks to Leki trekking poles. They also provide a Price Promise, so if you find an item cheaper elsewhere, you can enquire and they will beat it by 10%. Blacks online is currently running a 70% off clearance sale, so don’t miss the opportunity to check out their deals! Cotswold Outdoors was founded in 1974, and has since become a high street name when it comes to the UK outdoor gear industry. They provide equipment for a range of outdoor pursuits, from hiking and camping to rock climbing and cycling. Head to the clearance section on their website to find their best bargains. Oh, and they also offer price match services, so if you find the same item for less from another UK retailer, they either match the price or refund the difference. GO Outdoors is one of the biggest outdoor retailers in the UK. What makes them stand out is that they have several large, warehouse-style stores in major cities across the UK. Here, you can find everything from Gortex coats and specialist trekking insoles to harnesses, diving gear and bikes. They claim, “we’re the only UK outdoor retailer to offer good, better and best choices from a £10 walking shoe to a £900 air tent.” So, next time you’re planning a trip – or even just looking to update your gear – make sure you pop by your local branch for a browse! EpicTV & Shop stocks climbing equipment including climbing shoes, climbing ropes, harnesses, mountaineering gear and clothing. If you’re a fan of rock climbing, you might be familiar with Epic TV from their YouTube channel, which discusses the latest climbing news every week. However, they also have a website, which features a shop section. Here you can find a curated selection of outdoor gear on special offers. The great thing about the Epic TV shop is that it often provides deals on items that might not be discounted elsewhere, so make sure to check it out every now and again! If you’re new to hiking, you may not know about some of the smaller trekking kit websites that are out there. Well, it’s time to change that, because there are some incredible deals out there. Here are our top discounted outdoor gear sites – chosen for their range of stock, customer service and, of course, amazing prices. ➨ Order all your ski equipment at best prices ! ✓ More than 200 000 ski, snowboard, ski touring, cross country skiing and mountaineering products ✓ Express Delivery in 48h/72h ! EkoSport is one of the go-to gear websites for anyone who is passionate about the outdoors. This extensive retailer hosts over 300 brands, and more than 150,000 products, from snowboarding equipment to hiking clothes and more. Ekosport was established in 2007 as an eBay store, but it has since become a leading online source for bargain-hunting hikers across Europe. Check out their sale page for discounts of up to 80% on leading brands. You can also shop by activity, making it easier to find the equipment for your trip, whether it’s a trekking expedition or a cycling trip. As the name would suggest, Alpinetrek is an online retailer selling equipment for all manner of Alpine sports. This brilliant site sells kit for camping, climbing, cycling and winter sports at great prices, with an easy interface. Alpinetrek began with just one employee and a dog in a textile factory in southern Germany, but has since grown into a household name for outdoorsy folk. With 120,000 products from over 500 brands, including more niche names such as E9 and Icebreaker, this site is worth a look. Head to their permanent outlet section for discounts of 50% and more. They also offer a handy 2-year warranty, so you can rest assured you will get long-lasting kit. Huge range of Ski, Snow and Climbing Clothing & Equipment from the world’s best brands. Shop the latest Outdoor Clothing and Accessories with click and collect to one of our nationwide stores. Owned by Cotswold Outdoors, Snow and Rock specialises in snowsports and rock climbing equipment for everything from treks to winter ascents of major mountains. The brand prides itself on being innovative, and claims to have invented the concept of boot fitting, introducing the first Boot Fit Clinic into the UK. Their winter sports sale could be a great place to pick up those crampons you need for your next winter trek! If you’re looking for the cheapest price possible on new trekking kit, and you’re willing to wait for it, then you have to check out SportsPursuit. This is a members’ club-style website – but don’t worry, all you have to do is enter your email address or sign up with Facebook. Then, you can access their brilliant discounts and 7-day flash sales, at prices of 30-70% off. SportsPursuit stocks over 1,000 outdoor brands, at often unbeatable rates. However, if you are going to buy from their flash sales, you will need to plan ahead, as these items can take 2-4 weeks to be delivered. Get ahead of the game and grab a huge bargain! e-OUTDOOR doesn’t have quite the volume of stock or range as some of the other sites in this section, but don’t pass on the opportunity to check their outdoors clothing clearance section if you’re looking to bag a deal. Top branded items such as RAB down jackets are up to £100 off, a significant saving! e-OUTDOOR was established in 2002, but was grown from the company White and Bishop, a shop in Northampton that had been selling camping gear, country clothes and scout uniforms since 1930. Today you can head to their website for competitive prices on just this, with fast mainland UK delivery. Wiggle is one of the better-known online retailers for a range of hiking gear and other outdoor items. It began as an independent bike shop in Portsmouth in 1995, and slowly grew into the online superstore it is today. They stock various well-known brands across most outdoor pursuits, as well as their own brands, dhb, Vitus, Nukeproof, LifeLine, Prime Wheels, and X-Tools. Their clearance page offers up to 50% off a huge amount of trekking kit and clothing. Simply Hike has a small, curated selection of hiking gear and equipment for camping and skiing, from boots to tents and more. It was launched in 2006, and has grown its name for its low prices (checked daily), simple returns process, and next day delivery. Their sale page is a good place to find deals up to and in excess of half price on hiking and skiing brands such as Salomon, Roxy, and The North Face. All Outdoor sells a huge range of adventure kit, from tents to trekking clothes, sleeping bags and even rock climbing gear. Founded in 2006, their warehouse and offices are based out of North London. One thing that makes this website special is that it has a specific section for Everest Base Camp trekking gear. They also offer specialist safari kit sections and various other activities to filter your search for the most specific results. If you sign up for their Allpoints scheme, you can get an additional 4% cashback with most purchases. Orders of 12 or more are eligible for special deals, so if you and your Bucketlister buddies all need one particular item, it could be a good idea to band together and order from this site. 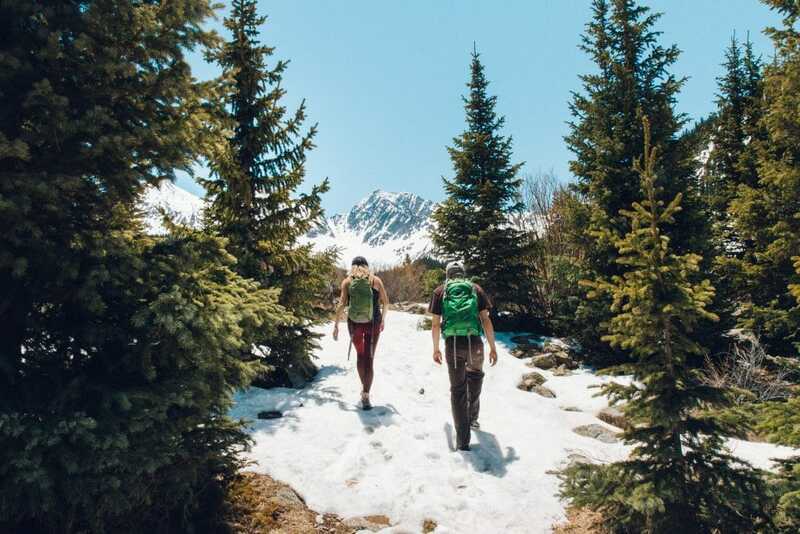 Great Outdoors sells a good variety of trekking kit from the most well known mid-range outdoor equipment brands, and a few of the higher-end names, too. From Dare 2 Be to Mountain Equipment, you can find kit for most budgets here. They have over 30 years experience in outdoor retail and stores in Newcastle and Shiremoor – making this a good place to stop by for those living in the North of England. Whether you’re looking for a thermal top, a tent or a stove, you can find some great deals on their site or in-store. If you are willing to compromise on having brand new items, then you can find some absolutely fantastic deals on high-quality second hand trekking kit. As well as generally keeping an eye out in charity shops, here are a few places you can find used hiking gear in good condition. Outdoor Gear Exchange UK is a gold mine for good quality used outdoor items. This Facebook group is made up of sports enthusiasts of all kinds, selling or exchanging items at great prices. Join the group and then use the search bar on the left to find items by brand name or product type. You can then negotiate a price with the seller and get an amazing deal! Alternatively, you could always search on Facebook Marketplace to see if anyone else is selling the product you need. Everyone knows that eBay is the place to go to buy second hand items. But don’t reject the idea of used hiking kit – on eBay you can find a lot of items as good as new for heavily reduced prices. Search for items and add them to your watch list so you can put in a bid when they are nearly finished on auction, or set reminders for similar items to be notified when the product you want is listed. Sites like Preloved and Gumtree are also a great place to find second-hand trekking kit. The great thing about these websites is that you can talk with the seller easily to find out an item’s condition, how it functions, and ask for more photos and details. There are even free sections on these sites, so it’s worth checking them every now and again – just in case! Of course, you don’t have to buy everything you need for your trek. If you’re sure you’re not going to use that pair of crampons again, for example, you can easily hire items. There are various ways to do this – here are a few ideas. Outdoorhire – shop online for trekking & climbing equipment, outdoor clothing, waterproof jackets, insulated jackets, crampons, ice axes, rucksacks, backpacks & more. Gear to hire for anything outdoors. There is currently a growing presence of online trekking gear rental companies offering kit hire to hikers. Outdoorhire is one such website, which is run by a team of dedicated trekking enthusiasts, with International Mountain Leaders and safari expedition leaders among them. On Outdoorhire, you can find just about anything you could need for any Bucket List trek. Simply select an item and how long you want to hire it for, add it to your cart, select the delivery and return dates, fill in your details (contact information, sizing, etcetera) and you will be given a quote. When you return, you simply return the items! The majority of treks begin nearby a town or city, and with the increasing number of trekking visitors, most of these destinations have adapted to offer their own hiking gear rental options. Whether you’re beginning a trek in Kathmandu or heading off trekking in Morocco, you can easily either buy or hire a range of trekking kit when you arrive – but don’t rely on this for your most important items, because you can’t guarantee they’ll have the item or size you need! Finally, you can try to sweet talk your closest friend or family member into lending you some of their trekking gear. Perhaps your sibling has hiking boots in your size, or your friend has a great 3-season sleeping bag. Why not ask?! They might be feeling generous! So, those are our top tips for finding trekking kit at the best prices. For more insider kit list tips and packing advice, check out the Bucket List Company YouTube channel, where we’ve made a whole trekking tips playlist on this topic! If you’d like any more guidance on finding the items on your Bucket List trip kit list, feel free to contact us on 01769 309 007.